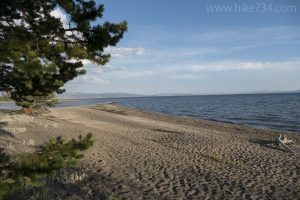 This short, level trail wanders through lodgepole pines to a sandy beach on the north shore of the expansive Yellowstone Lake. 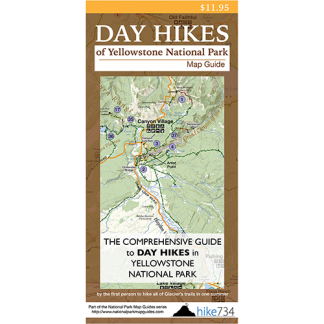 The trail begins where Pelican Creek broadens as it empties into Yellowstone Lake. This area provides perfect wetlands habitat for a large variety of waterfowl including the namesake pelicans. The trail ducks into the trees and comes to the loop’s junction, where you can follow it either direction to get to the lake’s shore. This is a great shoreline to explore or simply sit and enjoy the lake. Trailhead: The signed trailhead for Pelican Creek is just east of Fishing Bridge on the East Entrance Road.